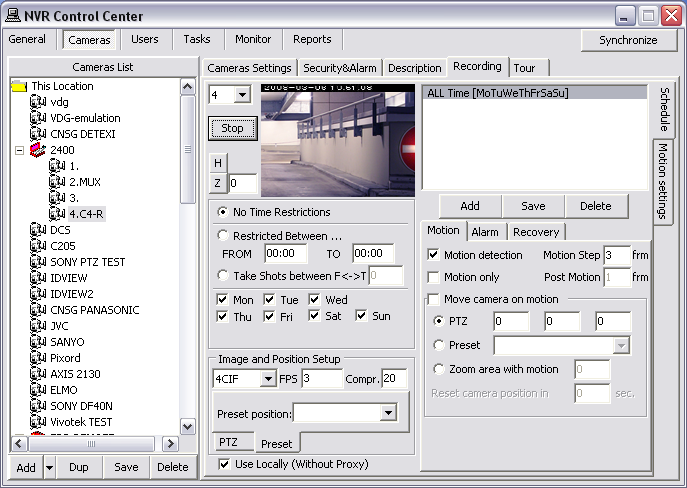 Before setting up any type of recording ensure first that recording is enabled for the selected camera. In the DETEXI NVR video can be recorded on schedule (24/7 or other) with or without motion detection and on trigger. Scheduled recording can combine both continuous and triggered recording instructions (within schedule). 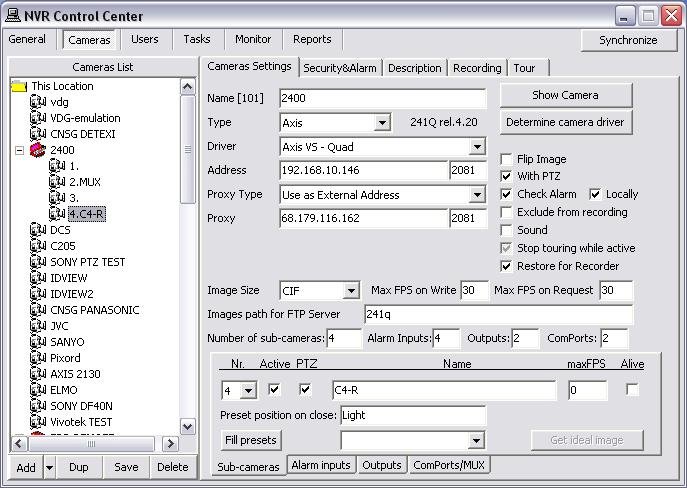 An alarm-triggered recording can be activated by, for example, video motion detection or an external input through a camera’s input port. After setting up the type of recording method, the quality of the recordings can be determined by selecting the video resolution, and level of image compression. The number of frames per second can be set in all recording modes. These parameters will affect the amount of bandwidth used as well as the size of storage space required. Learning the NVR motion detection and event management system should allow a better understanding of how to configure system settings including recording rules. The DETEXI NVR recording services support runtime configurations. This means that changes in the cameras recording settings can be made without stopping the NVR services. When you are ready for your recording settings to take effect, start the Recorder and Check Drive services from the NVR Control Center — Monitor or if the services were running and monitored during the configuration just click the Synchronize button to activate the new configurations. The Synchronize button is found in the upper right corner of any NVR Control Center page.